February sees a lot of change in terms of wintry weather conditions. While the month begins with single digit temperatures, halfway through the month the average minimums rise to record in double digits and the month ends with average night temperatures settling in the low teens. Similarly, the day temperatures begin with recording close to 22°C, halfway they rise by a couple of degrees and by the end of the month they are somewhere in the high twenties. February this time has been a little different. Looking into the records, this has been the coldest February for Delhi in last five years. The two halves of February have been different as well. While the average minimum for the first half was 9.6°C, the second half witnessed an average of 11.3°C. However, the average night temperature for the entire month of February has settled at its normal of 10.4°C, which has happened for the first time in the last five years. According to the temperature data available with Skymet, the previous four years have been warmer in contrast. The maximums and minimums constantly settled above the monthly average. 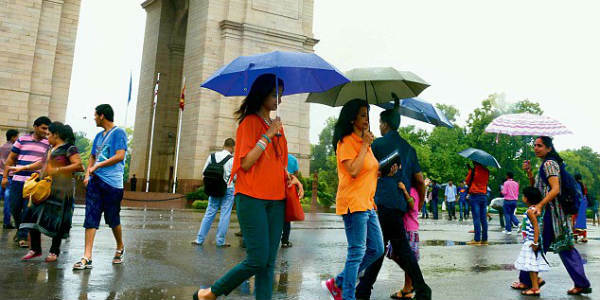 Rainfall in Delhi-NCR this Winter season has also been excellent with a surplus of +77%. Most of this share comes from the month of February alone. For instance, places like Palam have recorded 37.9 mm of rain against the February average of 20 mm. The number of rainy days was again high in February. It rained on 12 out of 28 days during the month. On February 7, Palam recorded 30 mm of rain in a span of just 24 hours, which was more than the monthly normal. The number of fog days were less during this winter season, particularly in the month of February, which is unusual.